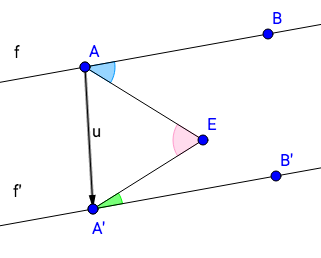 Make a geogebra construction of the diagram, then find the measures of the three angles AEA', BAE, and B'A'E and respond to the prompts that follow. To do this, you will have to open a new tab and go to the geogebra app. Evaluate your conjecture against the evidence from your construction: Do you think your conjecture was correct? Do you want to revise your conjecture in light of new evidence? Explain your reasoning.